Hiring an intern can seem like a win-win situation. You get cheap labor for handling your social media, and the candidates for your internship are likely to be digital natives. On top of that, you get the warm, fuzzy feelings that come with helping another person learn and gain experience that may help him or her secure a high-paying job one day. Before you jump for joy at your free or super cheap social media intern prospects, consider that there is a dark side to this arrangement. 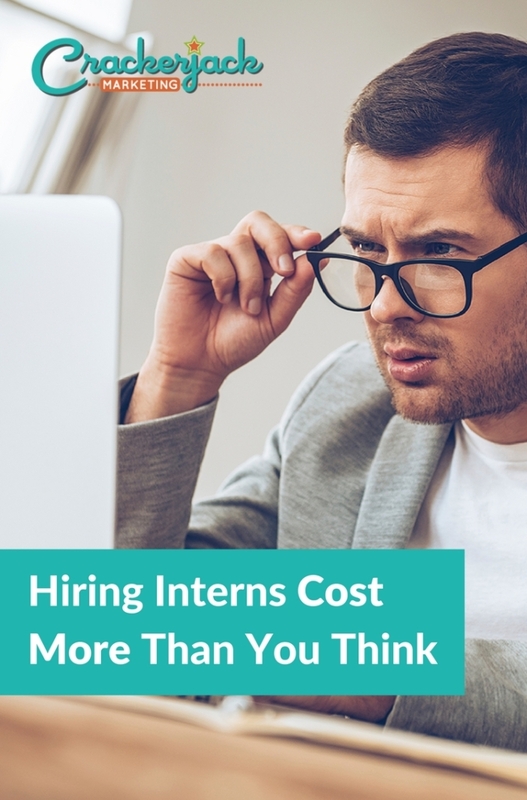 It’s highly likely your interns cost more than you originally thought they would. There are a few ways a social media intern may cost you money rather than help increase your profits. 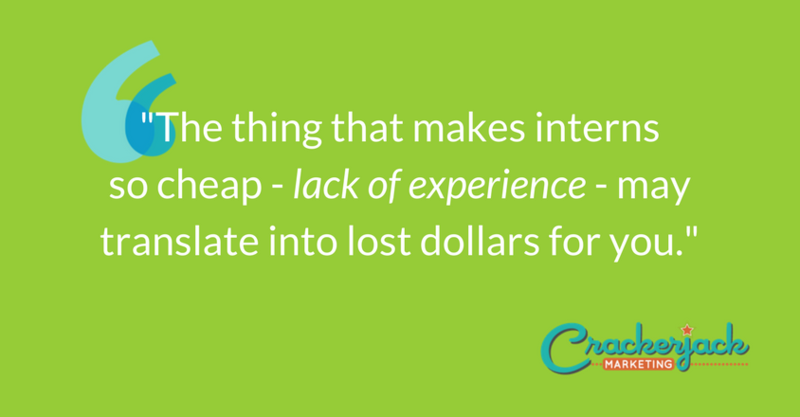 First, the very thing that makes them so cheap—lack of experience—can translate into lost dollars for you. 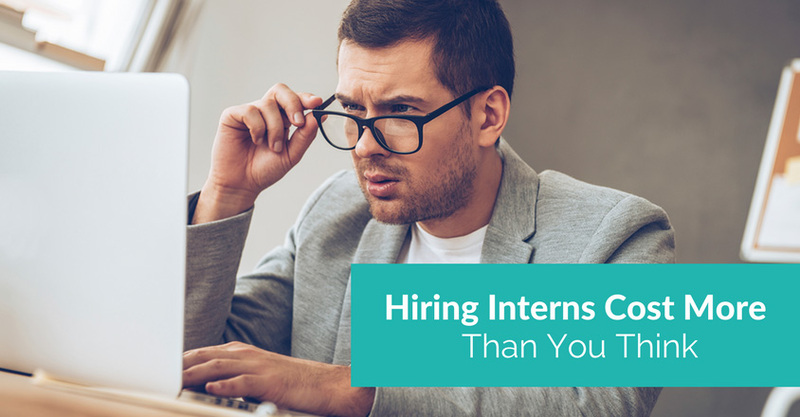 You’ll either spend time training your intern, a job that can prove ongoing, or you’ll need to pay someone else much more experienced and costly to do so. Then there’s the cost of supervising the intern since you can’t let someone with absolutely no experience just take your social media ball and run with it with absolutely no oversight. That’s a recipe for disaster. However, the most-costly aspects of hiring a social media intern may be the most difficult to measure. These include the opportunities missed, the followers lost, and the slowed growth you may experience because your intern doesn’t know what he or she is doing. Social media is so much more than putting up a great pic on Instagram. There is strategy, data, analytics, measuring ROI, and more to consider and implement. In most cases, a social media intern simply isn’t experienced enough to handle these aspects. And when you want social media marketing to be a viable part of your marketing (and who doesn’t? ), you need someone qualified to do the job. It is critical that the person you choose has experience with social media marketing, including the use of social media ads and a range of tools used for analyzing data, social listening, and streamlining efforts. While passion for social media and a desire to learn can go a long way here, it’s critical to keep in mind that accepting passion and learning ability in lieu of experience will cost you money. Posting whatever happens to catch your attention is fine when it comes to a personal social media account. Your business, however, will need a sound social media strategy, which will need to be tweaked, updated, and sometimes altogether changed as you go along. There is also data to analyze and ROI to measure. You’ll need a social media manager skilled with handling these aspects of the job. The person you choose as your social media manager should have a passion for using social media tools and platforms to market a business. It’s not enough to love using social media to share personal updates and images of grumpy cats. This person needs to love taking what’s available and molding it into an engaging experience for your target audience. Not only that, but your social media manager should have the drive to keep going when results are not as hoped and to look for ways to tweak and change things to better suit your business and your audience. Curiosity is important too as the social media arena is constantly changing. You’ll need someone interested in new opportunities and ways to make your business stand out online. Social media is incredibly visual and growing more so every day. You’ll need someone who has skill with manipulating graphics to create images that are eye-catching for your audience. In some cases, your manager will only need to source and edit graphics, but in others, you’ll need him or her to take your original images and turn them into something that represents your brand in the best possible light. More and more, customers are reaching out via social media for customer service. Ideally, your social media manager will have customer service experience and the mindset that the customers come first. You’ll need someone with the experience and desire to put the best face on your brand, responding quickly to questions and complaints, determining which issues are best moved offline, and following through in a timely manner. Your social media manager should have an understanding of how content marketing works, the different types of content, and where and when to use each type of content. He or she should also have insight into your particular audience’s content preferences. The ideal candidate should have basic writing ability (decent grammar and the ability to get a point across clearly) and a basic knowledge of SEO. Take the time to consider whether an intern is the right person to handle your social media campaigns. Make sure you are choosing interns with your eyes wide open since they will likely cost you money rather than help you save it. Choosing the right person for the job is critical to your success in all aspects of business, and social media marketing is no exception.